DAVID LE/Staff photo. 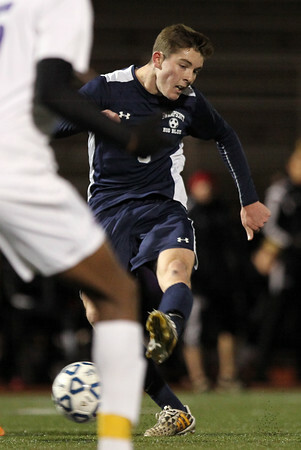 Swampscott junior Jack Herlihy (9) rips a shot on net against Norton. 11/18/15.